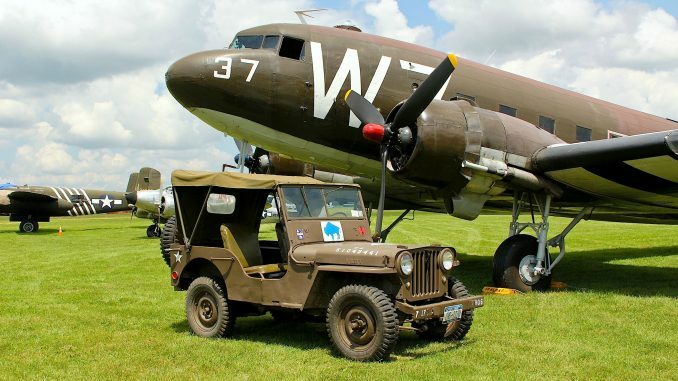 For the 70th commemoration of the renowned D-day Invasion, which is to take place in June 2014,the Douglas C-47 ‘Whiskey 7 ‘ owned by National Warplane Museum in Geneseo,NY and featured every year at the 1941 HAG air show will be making an historical fight back to Normandy France. 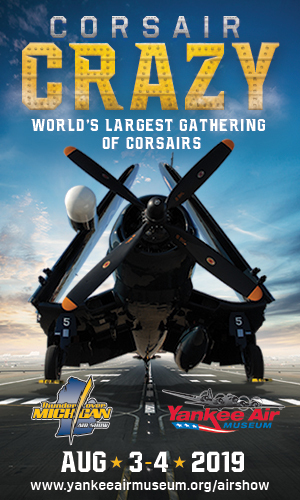 Founded in 1994, the 1941 Historical Aircraft Group Museum, now known as the National Warplane Museum, is dedicated to the restoration, preservation, display, and flight of aircraft of the World War II and Korean War eras, as well as the recognition of all United States Military personnel for their service and sacrifice. 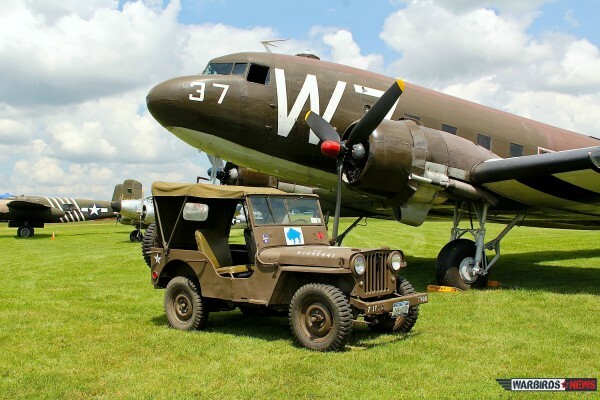 The NWM will honor the members of the Greatest Generation who served their country during the Second World War by returning its flagship Douglas C-47 to the most storied place in her 70-year history; the skies over Normandy. The aircraft, affectionately known by her distinctive squadron marking, Whiskey 7, was the lead ship of the 37th Troop Carrier Squadron, dropping elements of the 82nd Airborne Division near St. Mere Eglise, France in the early hours of June 6th, 1944. Whiskey 7 will participate in the 70th anniversary commemorations by dropping members of the Liberty Jump Team over the original D-Day drop zones. The C-47 Dakota was the cargo aircraft which was the workhorse of the Army Air Corps during World War II. 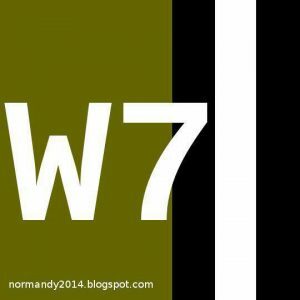 It was also affectionately known as the “Gooney Bird.” It served in all theaters of the war and served in civilian capacity to help establish the U.S. airlines.Whiskey 7 aka W7 is truly a WWII veteran. This aircraft originally served with the 12th Air Force in the Mediterranean Theater in 1943 and the 9th Air Force in England 1944-1945 as part of the 316th Troop Carrier Group. It was one of the lead aircraft of the first strike of the D-Day invasion on June 6th, 1944 over Ste. Mere Eglise, Normandy. It transported paratroopers for the 82nd Airborne Division as part of Operation NEPTUNE. Flak was very heavy during these missions but this C-47 managed to survive it all. Other organization are preparing for this important event,a group of parachutists called the Round Canopy Parachuting Team, has set its goals at assembling as many as possible still flying Douglas C-47 Dakota’s at the airport of Cherbourg, Maupertus. The Round Canopy Parachuting Team is an international association which was founded in 2009 and has 250 members of 14 different nationalities. The team is specialized in making jumps with military style round parachutes, like the ones used during World War 2. Click HERE to read our article. Dakotair will take a plane load of veterans to these events free of charge, enabling these brave men and their careers to revisit their battlefields again in the same aircraft type they probably arrived in last time. The National Warplane Museum has set up a website to raise funds for this historic flight, to learn more about the project and how you can help honor those who served click HERE. I am an Aeronautical Engineer working at Prestwick International Airport in Scotland, UK. On Tuesday 20th May 2014 whilst at work I was fortunate enough to have been able to get 2 photo,s of Dakota Whiskey 7 as it approached to land. I am very aware of the historical interest of this Aircraft and if you wish I would be very happy to send you the Photographs for your collection. That would be terrific! Please do send them along when you get the chance. I would love to have the photos as well if you don’t mind. The Whiskey 7 is magnificent!!! I would love to have these also! I would like to get it to the family of the pilot. Thank you! I would love to have a copy of the pictures. I’d love to have pics as well.